Save the Date! Book Signing on Deck! 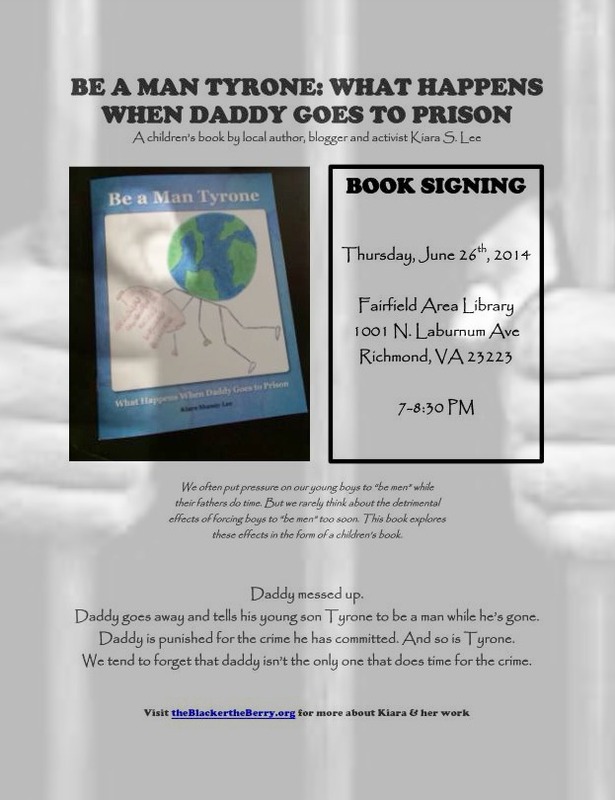 I have been blessed with the opportunity to hold at book signing for “Be a Man Tyrone: What Happens When Daddy Goes to Prison” at Fairfield Area Library on Thursday, June 26th. Check out the flyer for more information.